During my time as an AIR, I will use the working space to push the boundaries of my work. Some painting, but mostly sculptural. Sculpture is an art form that my heart resonates with but I have never had the space or the resources to really pursue. 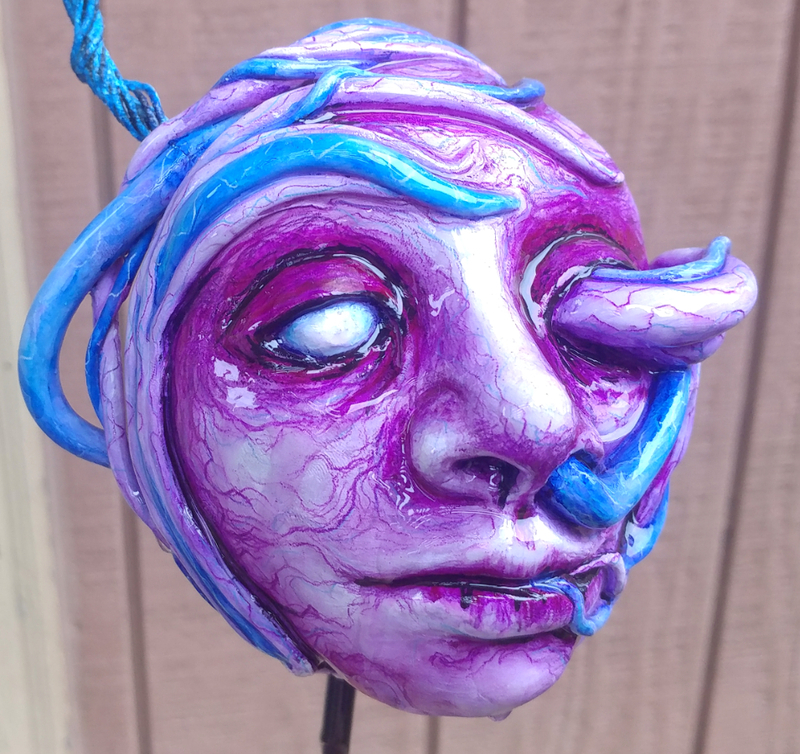 I want to use various sculptural techniques and mediums to explore things like perception, reality and dissociation; and how sleep and other chemicals in our brain can alter artistic output. It will align with the show I will be curating at the same time upstairs in the A.N. Bush Gallery called “help me...an intimate portrayal of mental illness” and will expand on my personal struggle with mental illness, as well as my recent diagnosis of Narcolepsy with Cataplexy - which has thrown a totally different lens for me to process my psychological states, treatments, my history and relationship with sleep as well as a new path to recovery. Something that I really look forward to during this time is the opportunity to speak with those who have just viewed the exhibit upstairs. I want to encourage everyone who makes it out to the show to come downstairs where I will be working - to discuss the show, my work, and answer any questions they may have.